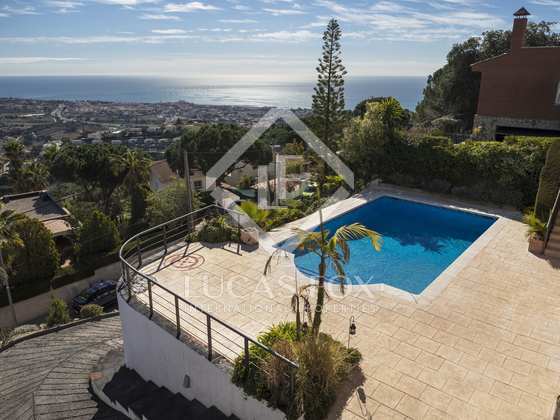 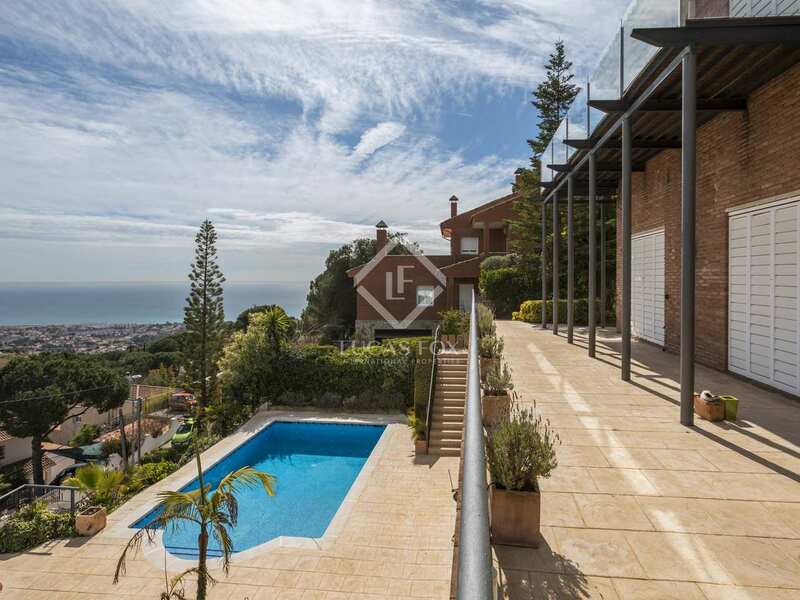 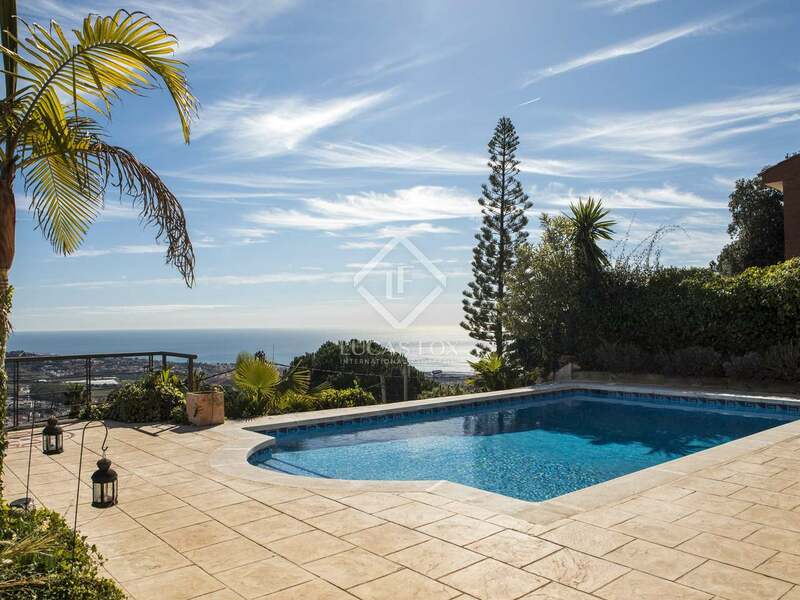 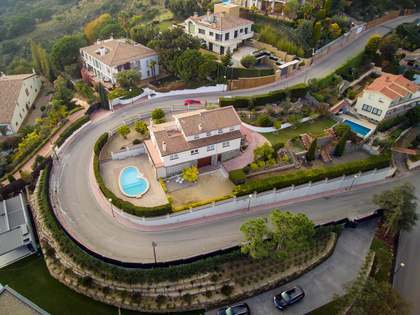 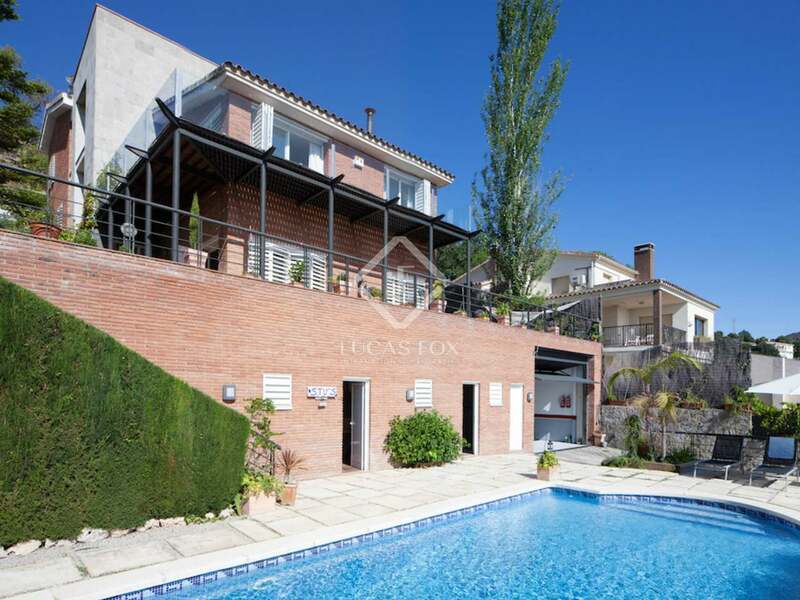 This large home for sale is situated on a hilltop offering stunning views and quick access points into Barcelona city centre. 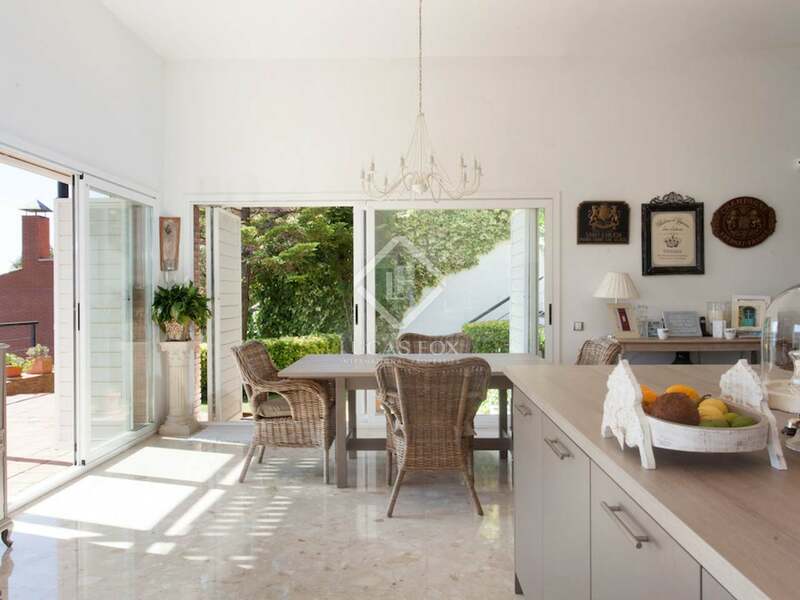 The home was redesigned and updated in 2013 by the current owners. 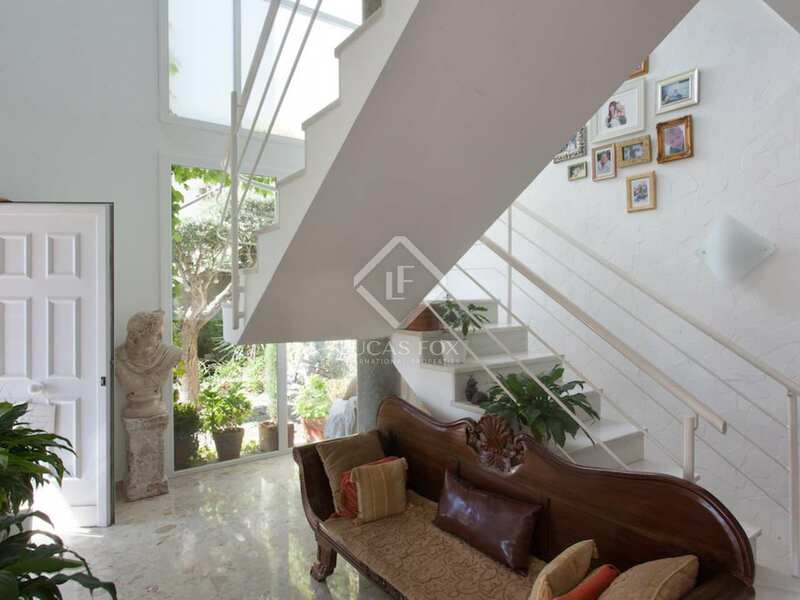 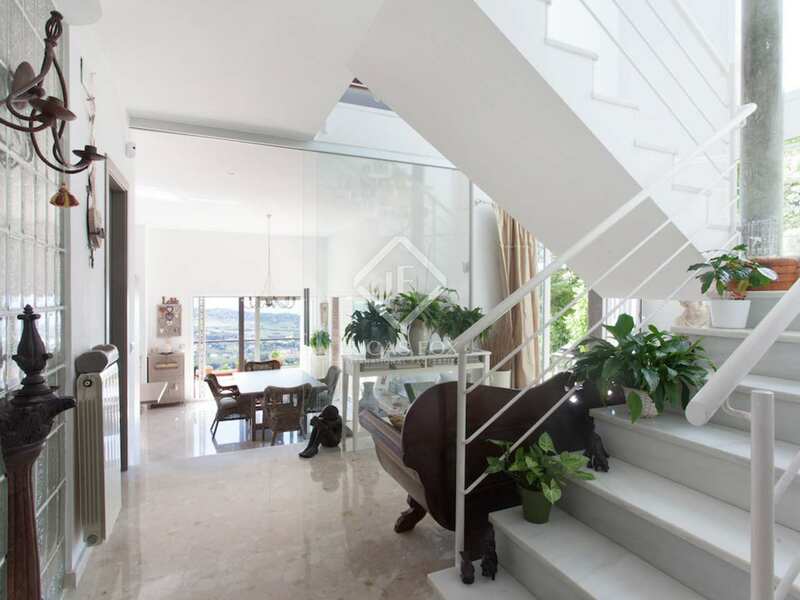 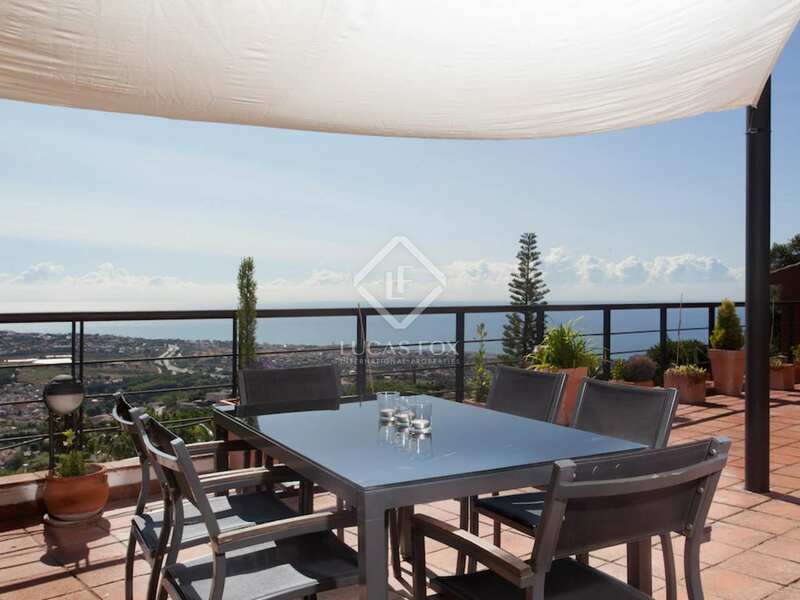 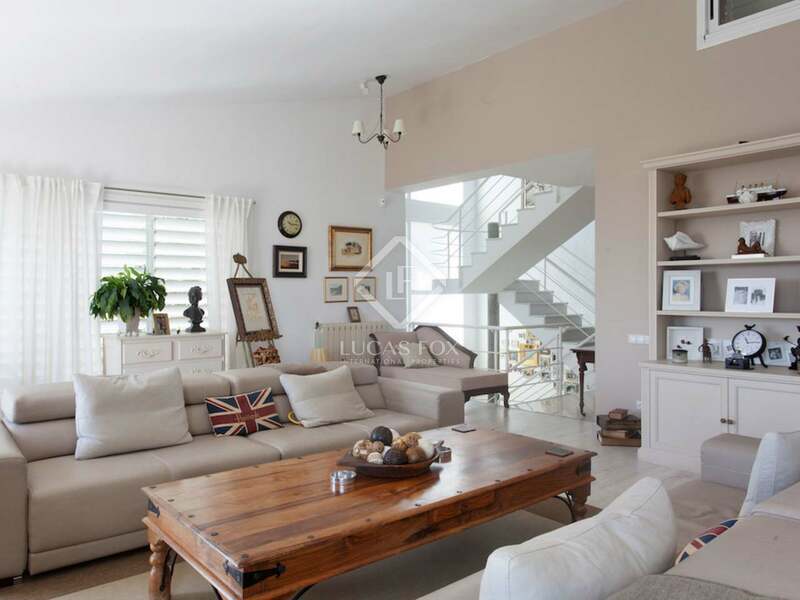 The property is distributed over 4 levels, all benefiting from balconies and outdoor terraces. 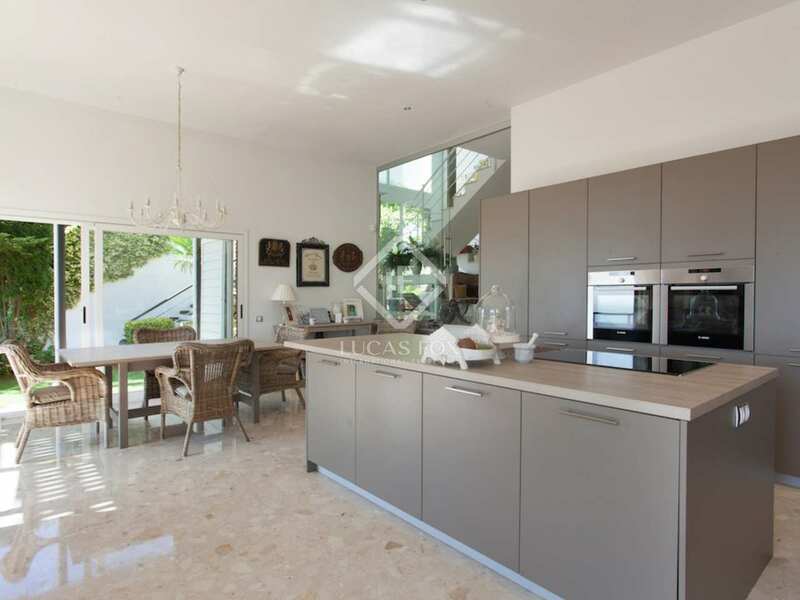 The main floor offers a fantastic modern kitchen with vaulted ceilings, a balcony and a terrace area with stunning sea and village views, a dining room and a guest ensuite bedroom. 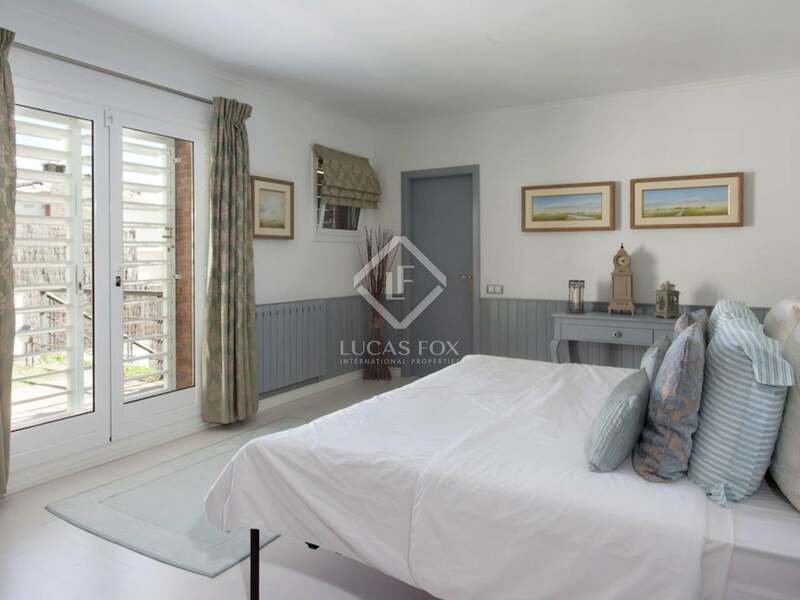 The second floor offers a grand living room, a master ensuite bedroom with a walk-in wardrobe and 2 double ensuite bedrooms. 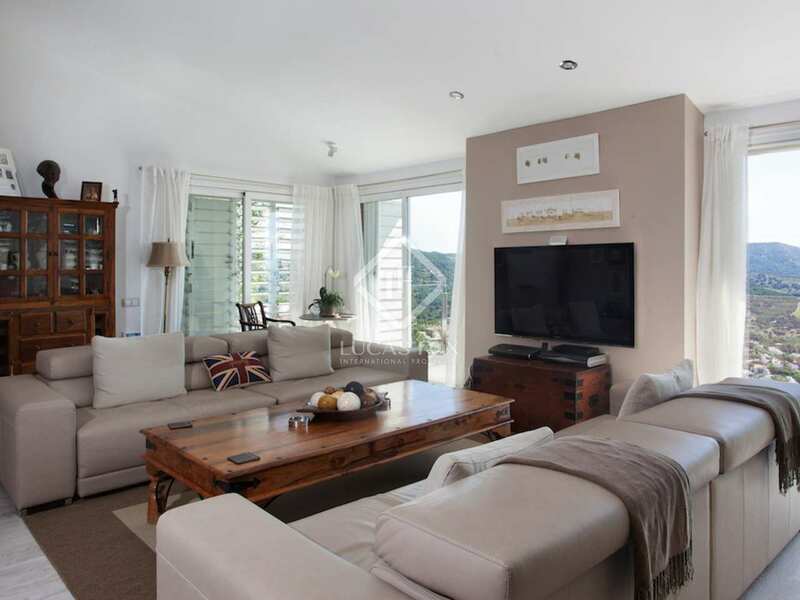 The third floor offers a library/office area, an outstanding terrace and 2 double ensuite bedrooms. 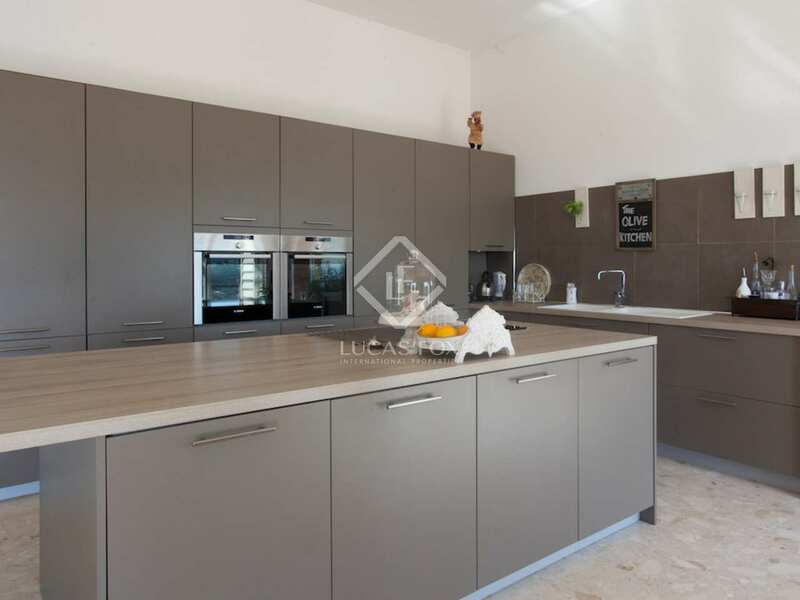 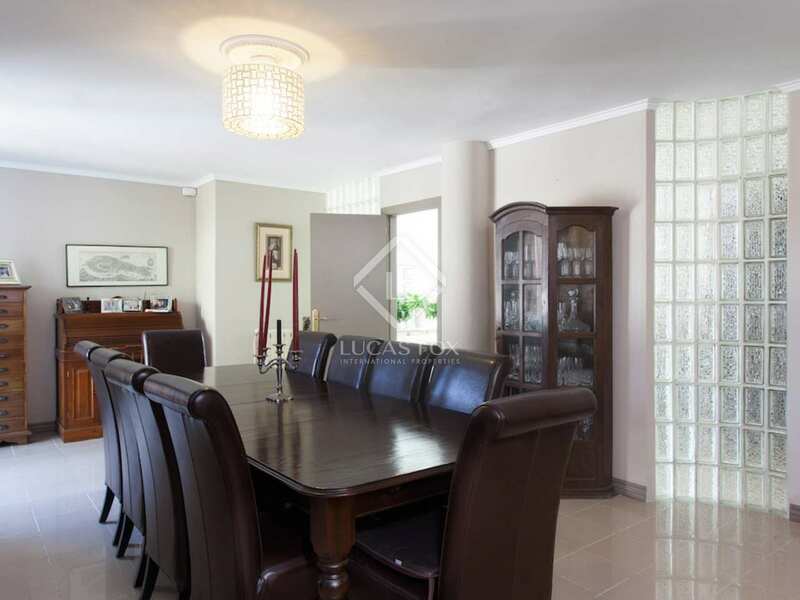 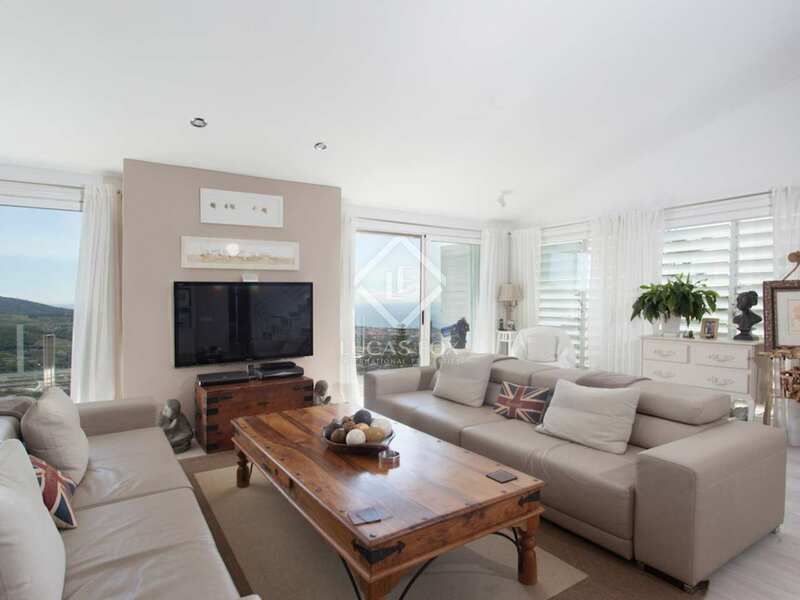 The property benefits from an outstanding layout, vaulted ceilings and fabulous sea views. 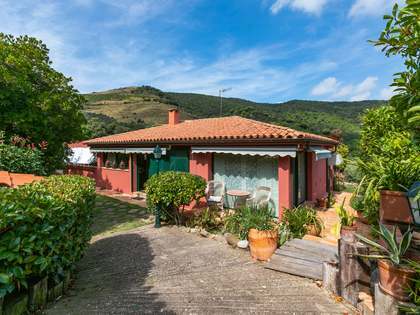 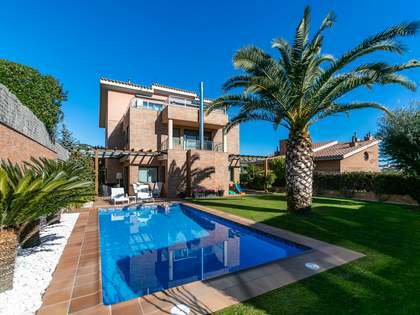 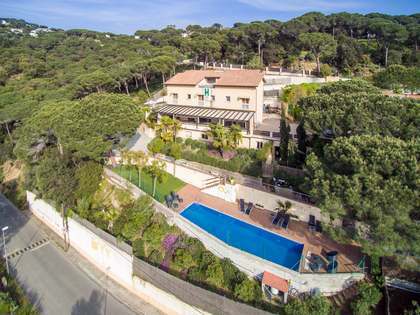 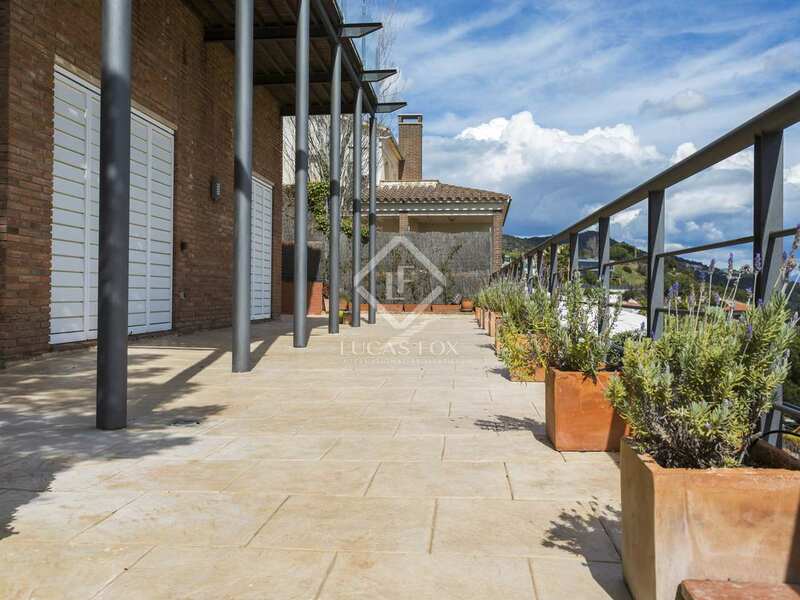 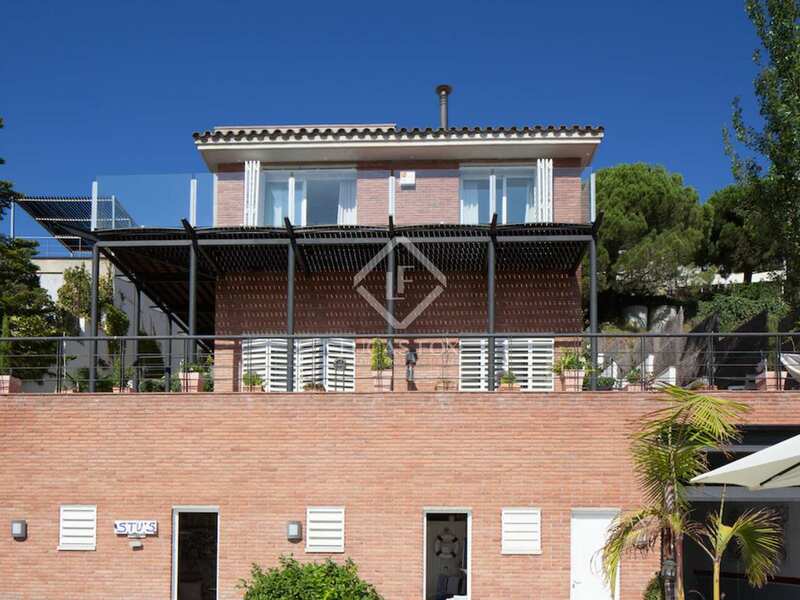 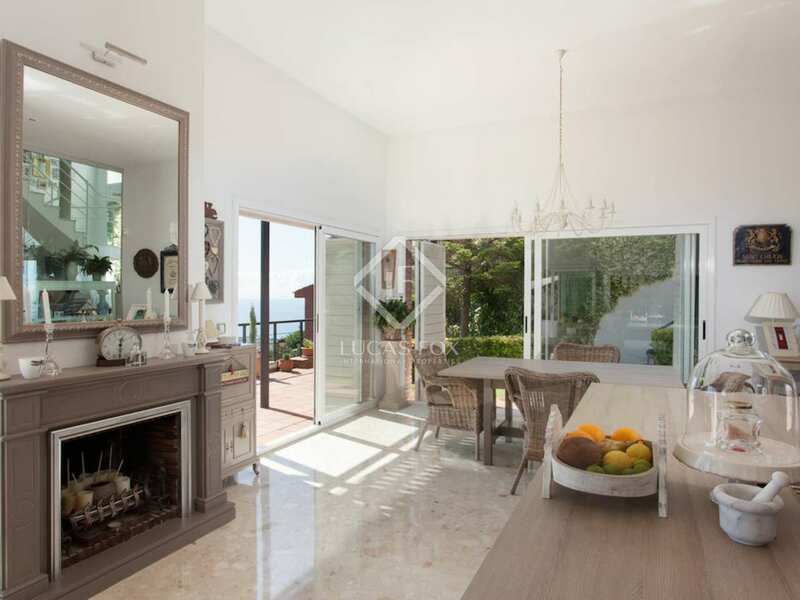 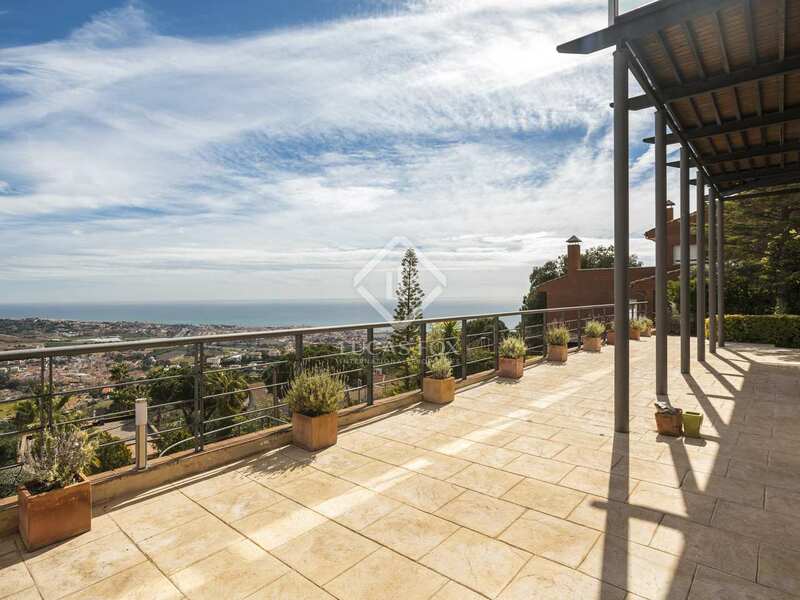 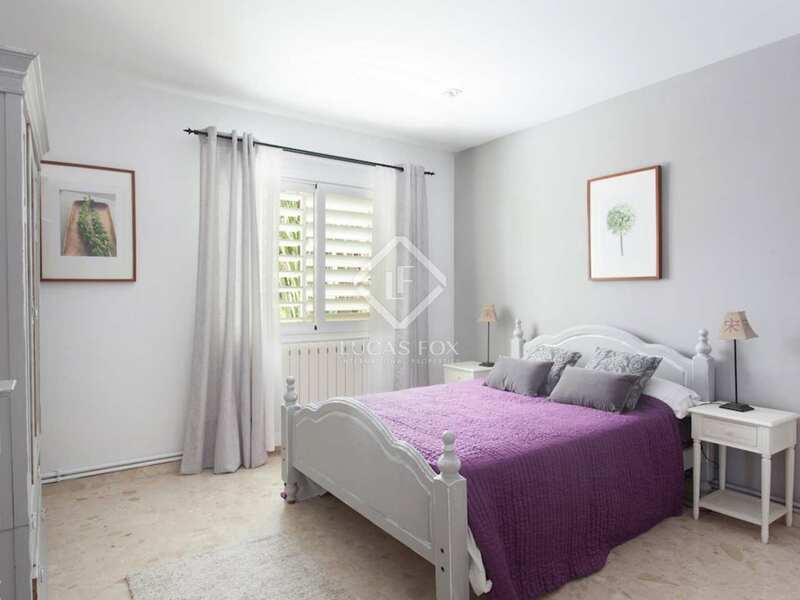 Located in the lovely village of Alella on the Maresme Coast, only 15 minutes from the centre of Barcelona.